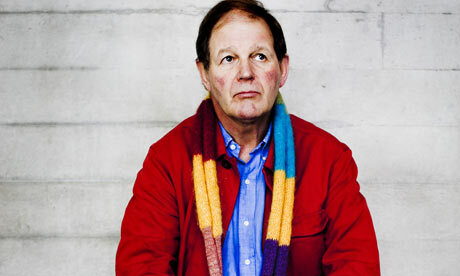 Author of the Foreword to A Little, Aloud for Children, Michael Morpurgo spoke passionately yesterday in an article he wrote for the Guardian about what he sees as the failure of modern literacy teaching to encourage children, and boys in particular, to enjoy reading for pleasure. One of my very first memories is of being read to by my mother. It was a magical time when myolder brother and I had her to ourselves at the end of the day. Those are the stories that I remember best and love the most to this day. She gave me a precious gift, handed down to me her own love of stories, of the music in the words. The idea about adults needing to pass-on the enjoyment of reading to children is something Morpurgo returns to in his recent article, highlighting the fact that parents, grandparents, carers and teachers need to love books themselves before they can pass-on a love of reading to the children around them. Speaking about the particular stories that got his young self into reading, Morpurgo refers to the Just So Stories by Rudyard Kipling – one of which, ‘How the Rhinoceros got his Skin’, is featured in A Little, Aloud for Children. We can’t help thinking as we read his excellent article that this is exactly why Michael Morpurgo wrote our Foreword: A Little, Aloud for Children is the perfect book to get adults and young people together in a shared enjoyment of reading. The prose and poetry collected together in the anthology has been selected because it has worked in practice: giving pleasure to a child somewhere, when they read and shared it with someone else. Each of the pieces in the book has an approximate reading time with it, which is ideal for adults looking for soemthing to read with children, but unsure about beginning a whole novel.